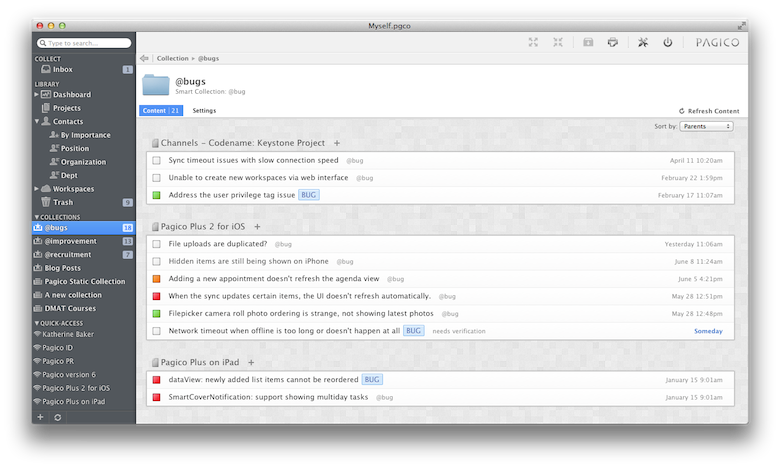 Collections keep you focused and on-track. help you to keep track of things by tags (keywords). by clicking on the "+" icon. will be displayed in groups by their containers. gather everything in your database based on keywords. See how to sync your data across your devices.